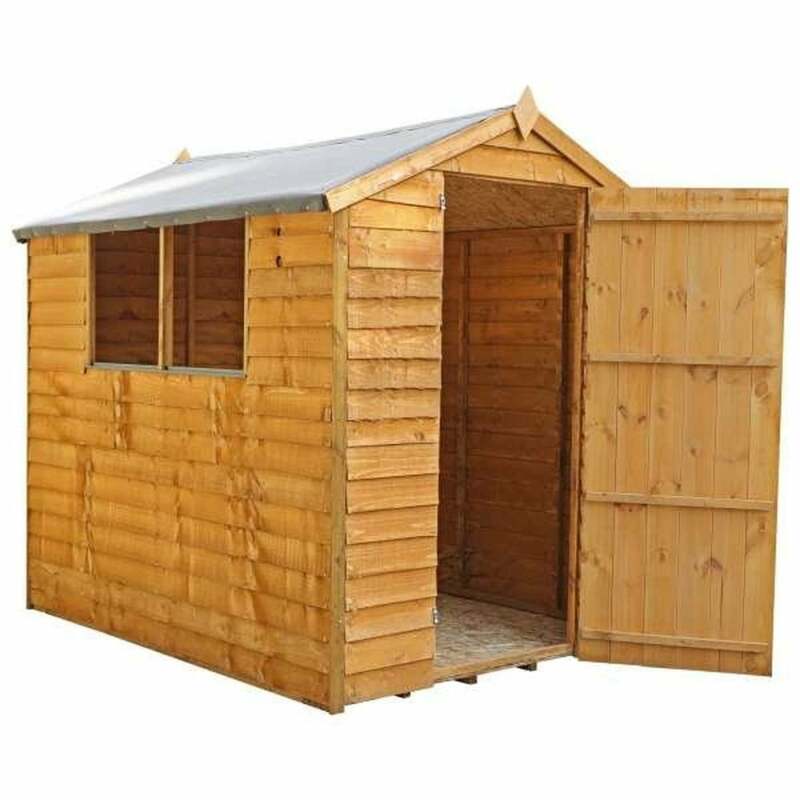 Mercia 7 x 5 Overlap Apex Shed Single Door: The Mercia overlap shed is a traditional building ideal for all garden sizes at an affordable price. The 7 x 5 apex shed features 7mm square cut overlap cladding with a 28x28mm frame for a sturdy structure. The Mercia garden shed includes shed felt to help protect against the elements and shatter-proof styrene glazed windows. The Mercia shed has a ledged single door for added support and a turn button door fastener to enable to shut the door securely.